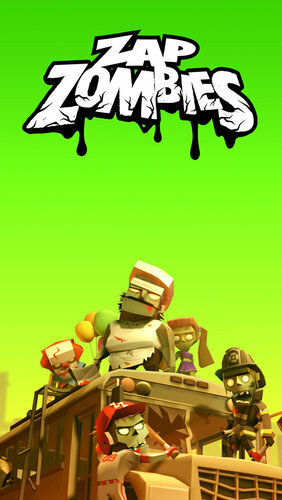 Zap Zombies™ is a clicker-style simple RPG. 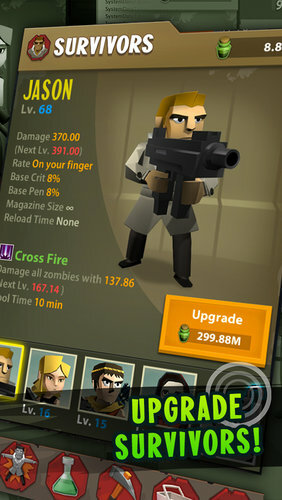 All you need to do is slay the zombies with your fully-armed survivors, and you can upgrade their skills and powers in the laboratory. 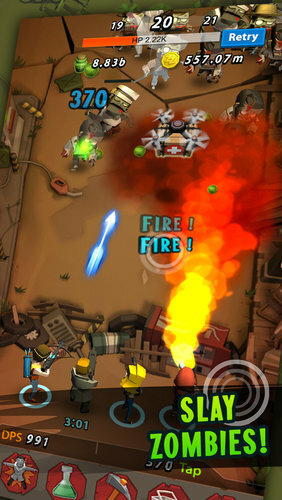 Zap Zombies is a free game with simple controls. Survivors help you to slay the zombies and you upgrade them to let them fight harder and harder. Tap your screen like there’s no tomorrow to acquire more Enzyme and Power and annihilate them all! Upgrade your survivors to become stronger and faster. Find more survivors when you collect enough Enzyme from the battle. 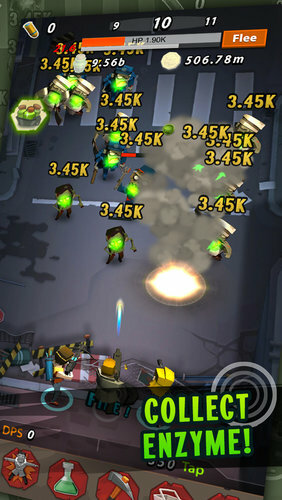 Zombies drop enzyme, an important resource for upgrading survivors. Be sure to collect enzyme stacked up while off-line. You can start your life all over again. But you will witness the implanted bodies of your survivors, meaning they can slay the zombies faster and harder. 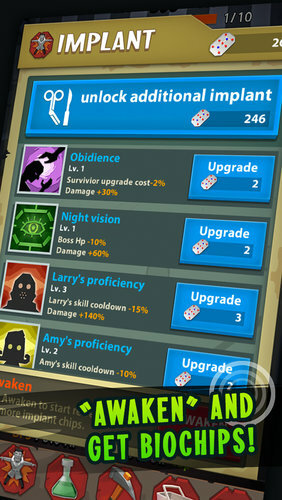 Upgrade all your survivors with special skills: more and stronger Criticals and Gun Damage. Gold is essential to upgrading laboratory skills. Don’t forget to upgrade your mine to collect more gold.